This post has already been read 5316 times! 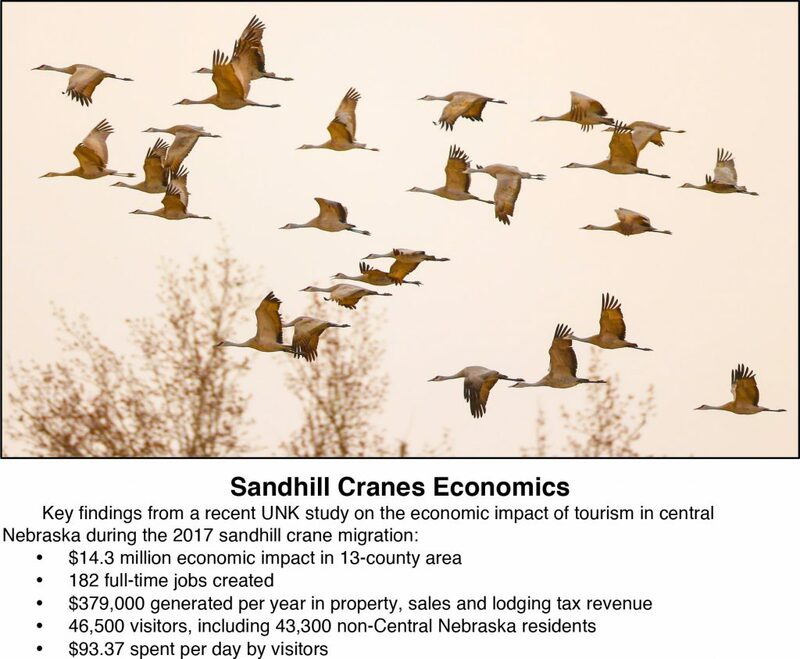 KEARNEY – A study led by the University of Nebraska at Kearney shows the economic impact of tourism in central Nebraska during the sandhill crane migration was $14.3 million in 2017. The annual migration also is responsible for 182 full-time jobs and generates $379,000 per year in property, sales and lodging tax revenue across the region. Each spring, more than 600,000 sandhill cranes stop along Nebraska’s Platte River valley to rest and refuel before flying farther north to breeding grounds. Area organizations devote resources to crane preservation, education and watching, which generate donations and grants. The cranes also attract tourists in March and April who spend money in hotels, restaurants and at other businesses. 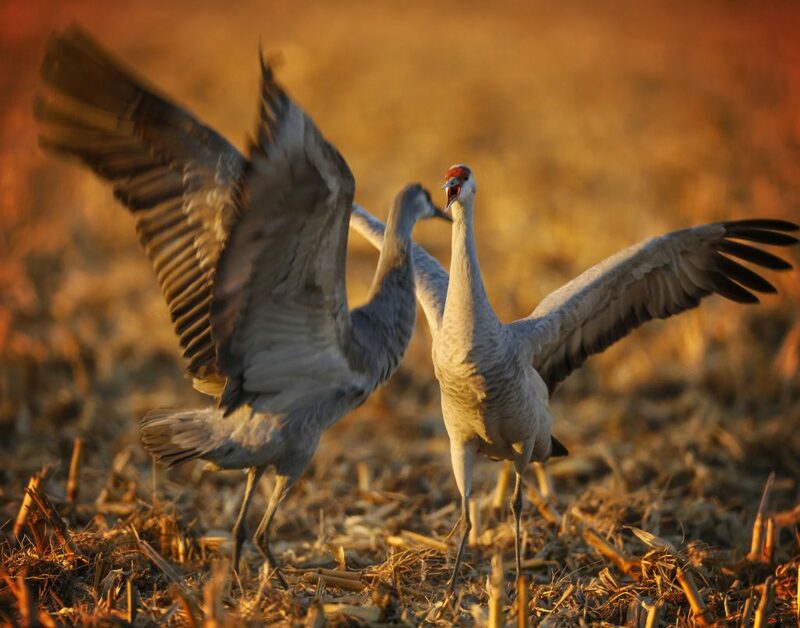 The study found that about 46,500 people visited during the crane migration in 2017, and 93 percent – or approximately 43,300 – were non-Central Nebraska residents. Those visitors spent an average of $93.37 per day. Non-central Nebraska visitors had a total economic impact of $10.58 million, with 136 jobs created. 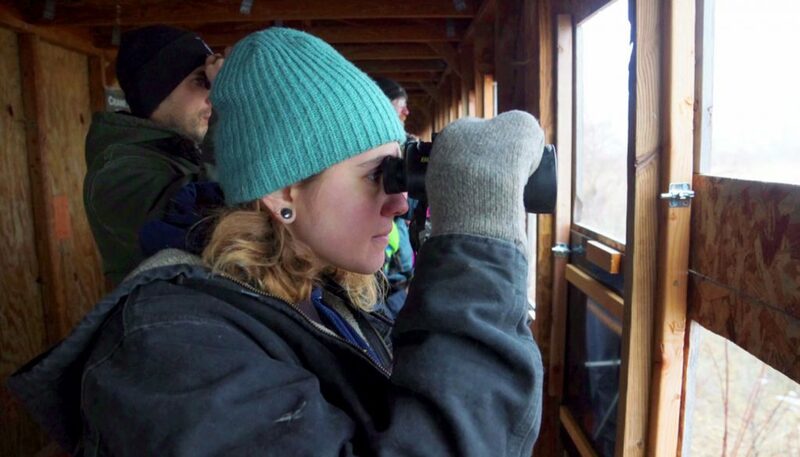 Audubon’s Rowe Sanctuary near Gibbon and Crane Trust Nature & Visitor Center near Alda creates 46 full-time equivalent jobs and had a total economic impact of $3.72 million on the Central Nebraska economy. Together, the overall economic impact of the annual crane migration on Central Nebraska was $14.3 million in 2017, supporting 182 year-round equivalent jobs. The study area included a 13-county region along the Platte River from North Platte to Grand Island. The counties included: Adams, Buffalo, Clay, Custer, Dawson, Hall, Hamilton, Howard, Kearney, Lincoln, Merrick, Phelps and Sherman. UNK students from the speech class Communication Inquiry surveyed 860 visitors at crane viewing venues and popular roadside sites. Visitors were asked where they were from, and about their typical daily spending on hotels and lodging, food and drinks, gasoline, shopping and gifts, other entertainment and recreation, and other spending in central Nebraska. Surveys were done in March at Crane Trust Nature & Visitor Center, Fort Kearny State Historical Park, Fort Kearny Hike/Bike Trail, Audubon’s Rowe Sanctuary and Festival, Buffalo Bill Ranch State Historical Park, Golden Spike Tower and Visitor Center, and roadside sites included the Central Platte Natural Resources District Plautz Viewing Site, Rowe Pond, Platte River Bridge off the Minden exit and Muskrat Run State Wildlife Management Area. The study was completed by UNK College of Business and Technology and University of Nebraska-Lincoln for the Nebraska Central Platte River Region. Nebraska Central Platte River Region partners were the Crane Trust, Iain Nicolson Audubon Center at Rowe Sanctuary, Kearney Visitors Bureau, Grand Island Convention & Visitors Bureau, Hastings/Adams County Convention & Visitors Bureau, North Platte/Lincoln County Visitors Bureau, and Center for Great Plains Studies. Eric Thompson, associate professor of economics and director of the Bureau of Business Research at the University of Nebraska-Lincoln, was among co-authors. 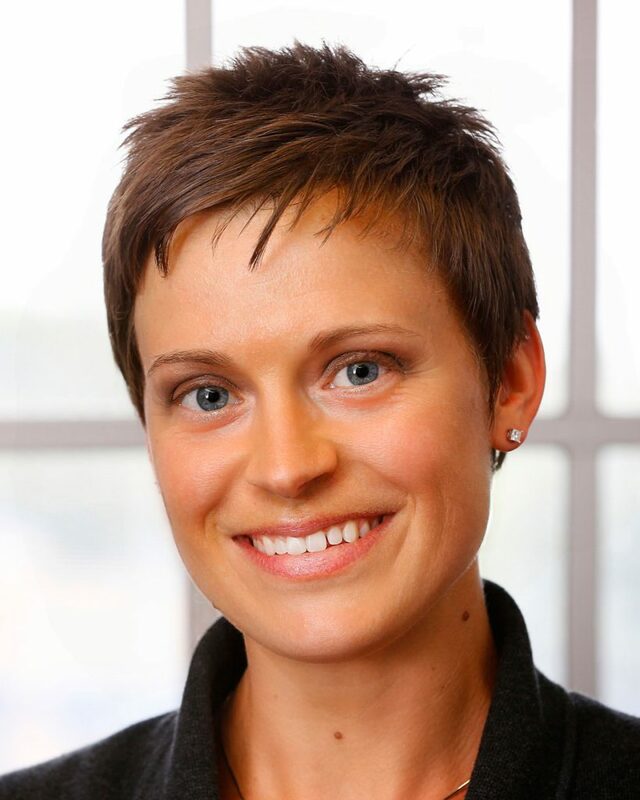 Also co-authoring the study were Lisa Tschauner and Shawn Kaskie with UNK’s Center for Entrepreneurship and Rural Development.